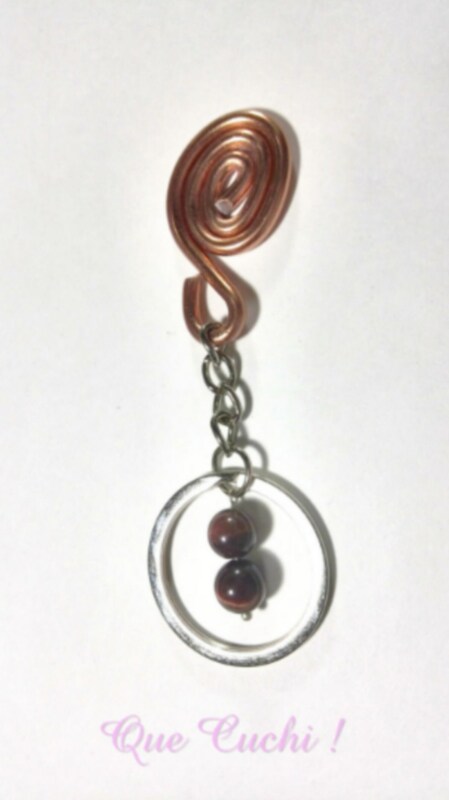 Keychain that clings to the bag to find handmade keys more easily with 3mm brown aluminum wire and a tiger eye bead, the keychain is silver metal. Tiger Eye fortifies bones and joints, removes stress and avoids stomach problems, it reflects negative energies to its transmitter. It is filled with warmth and security. Skull man bracelet with tiger eye and lava.